Carbomer 20/NM –Carbomer 20 is a hydrophobically modified cross-linked acrylate copolymer, providing moderate-to high viscosity with smooth flow properties. It self- wets and disperses quickly in minutes, which remarkably meets formulators’ ease-use need. It have higher electrolyte tolerance. Carbomer 1342/NM-Carbomer1342 is a hydrophobically modified cross-linked acrylate copolymer. 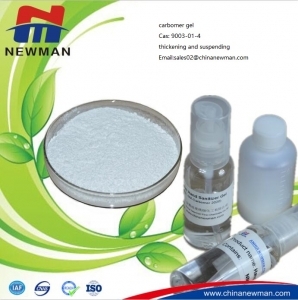 It has long viscous flow property, imparts excellent thickening and suspending capability especially in surfactant systems and forms sparkling clarity gels.